Clearly there is no right answer here - it's totally your decision as to what you value and need from the camper van. High demand has given life to camper van rental companies beyond count and many offer more or less the same thing. However, there are also many differences which means somewhere out there is the perfect rental no matter what you are looking for. Here is a run-down of some of the most popular companies so you can decide what your ideal fit is. A little bit of everything is offered by Mighty, from campers suited to the tight budget-restricted to those in search of a bit more space and comfort with a larger model motor-home. Minimum hire age – 18 years for some models, 21 years for all. 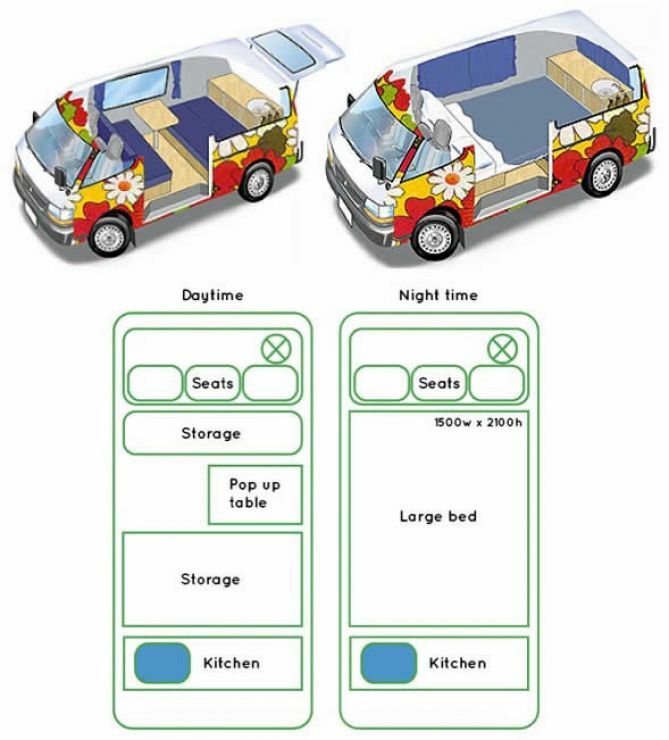 Vehicle types – 2-6 berth, small campers to big motor-homes. Self-contained options – yes, all of Mighty's camper vans are self-contained. Insurance details – 2 options – basic included in daily hire with excess of NZ$3500 (for smaller vans) to NZ$5000 and a zero excess for NZ$36 per day. 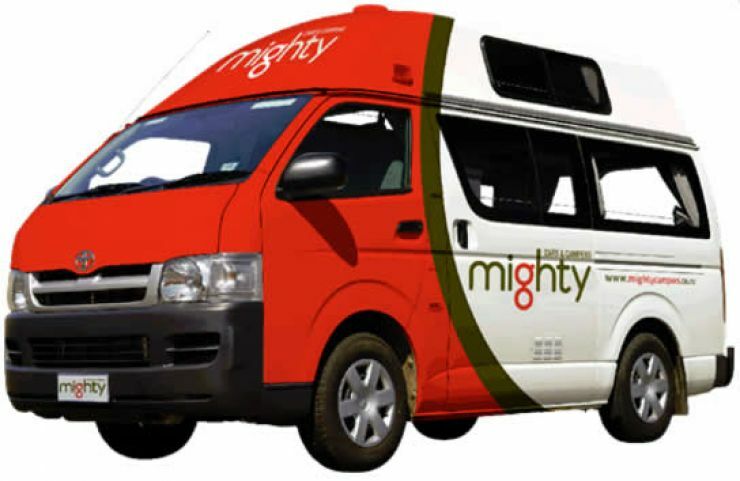 Special deals – Mighty run a price match scheme as well as offering discounts for longer term hire. Which van design will you choose??? 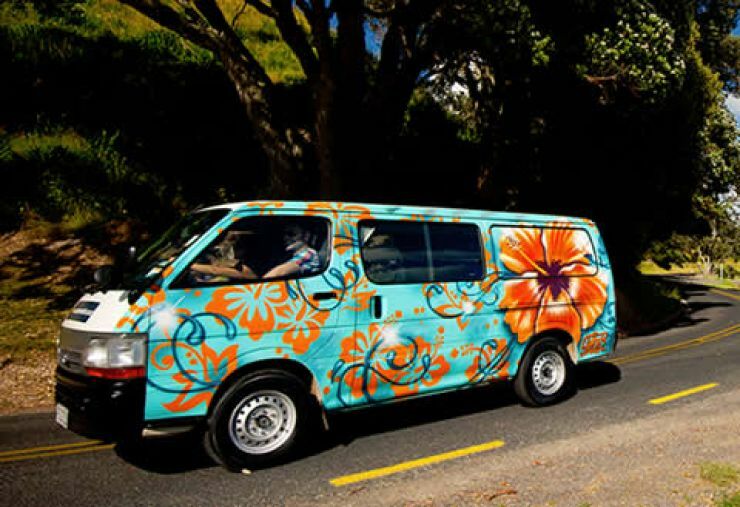 There are probably no more easily distinguished vans in all of New Zealand than those of Escape. Aimed very much at the backpacker market, each of its 200 odd camper van fleet has been individually painted. All are funky and distinctive; some are downright crazy or quirky. If a particular design catches your fancy you can ask for that exact van and stand a good chance of getting it if you get in early enough. Escape vehicles are very popular. Rates are typically as low as you will find with a reputable company as they boast – and indeed do – keep a constant eye on all competitor prices to match them. Minimum hire age - 18 years. 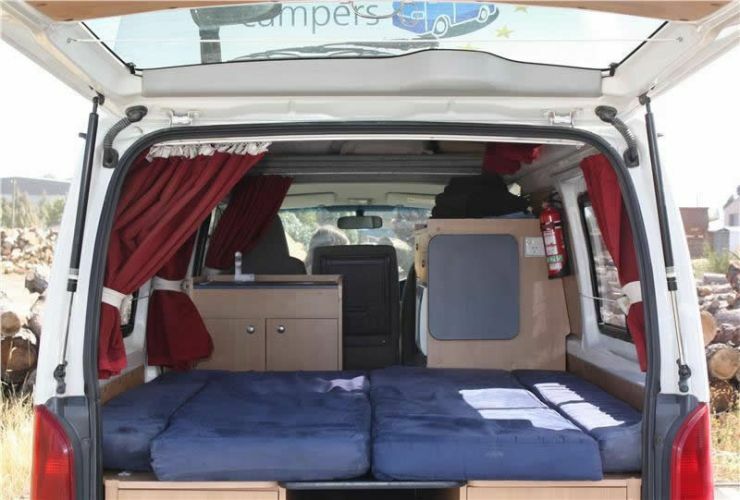 Vehicle types - Toyota Hiace and Nissan Caravan campervans – sleeping up to 3 persons. Self-contained options – yes, if you buy an optional extra kit. Insurance details – 3 grades with excess options NZ$0- NZ$4000, from NZ$22 per day. Covered for driving on unsealed roads with the ‘No Worries Mate’ full insurance option. Special deals – Escape tends to have specials and promotions coming out of their ears. You might find such things as $18 a day camper hire charges for rentals of 20+ days, camp site discounts that could save you up to NZ$300, 10% discounts on Christchurch to Auckland one ways and even the chance to win NZ$250 by sending in a shot of your van while you're on the road. What's more, talk to Escape about any relocations needed and you might be able to have the van for free. Be aware that these relocation deals typically have a fairly rigid time schedule attached. Renting everything from small hi-top campers to luxury motorhomes, this award wining, family owned and operated camper rental company known as Wendekreisen have been on the scene since the early 90s. The fleet of 200 vehicles range from small 2 berth hitops to large 6 berth motorhomes. And if being environmentally friendly is one of your key deciding factors, all the CO2 emissions from Wendekreisen's campervans all offset with their Carbon Project. Minimum hire age - 21 years – must have had a full licence for a minimum of 1 year. 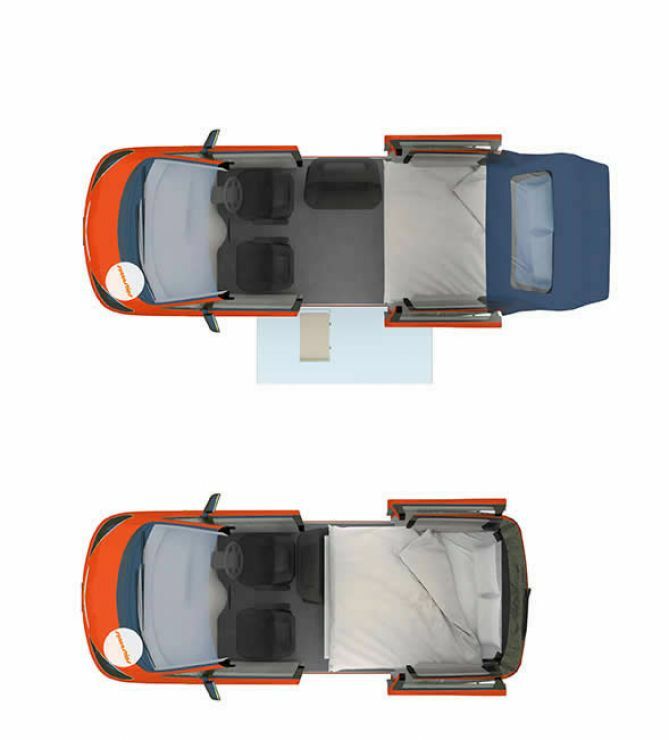 Vehicle types – 2-6 berth campers, station wagons+roof tent and a budget range of 2-4 berth campers. Self-contained options - yes. Insurance details – 3 grades with excess options NZ$250- NZ$2000, from NZ$16 per day. Described as 'the Swiss army knife of campers' these ingenious little vehicles can at first glance appear to be somewhat inadequate for a camping trip. However, think TARDIS – they are so incredibly well-designed that every inch of space has been utilised in some clever way. This means you get what in essence is no bigger than a large car making it easy to park and drive, more economical on fuel and less costly for the North to South Island ferry crossing. 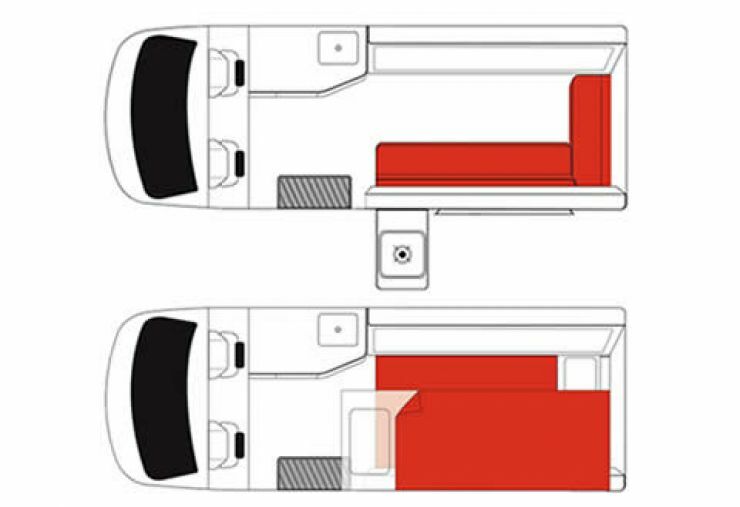 It doesn't look like it would have the space but nevertheless Spaceships come with a full size double bed which can be used inside in winter or extended out the back into a waterproof rear awning with insect screen in the summer. In short – a Spaceship 'drives like a car, sleeps like a camper' is how the folks at Spaceship sell their rental campers. Minimum hire age - 18 years. Vehicle types – 5 different styles of custom fitted Toyoto people movers – 2 berth. Self-contained options – yes – but only with one of the vehicle styles – the Dreamer. Insurance details - 3 grades with excess options NZ$0- NZ$3000, from NZ$20 per day. Covered for driving on unsealed roads with the zero excess option, full cover insurance. Special deals – Spaceships offer several discounts and deals on a regular basis such as seasonal 20% discounts, relocation deals, long term hire discounts and early booking 5% discounts. Offering a diverse range of campers from the compact to the fully fitted-out motor-home variety and for both budget and high-end customers, Euro Campers's vehicles are all self-contained. Minimum hire age - 18 years for some vehicles, 21 years for all vehicles. Vehicle types – a diverse fleet of campers, hi-tops and motor homes with 2-6 berth options. Self-contained options – yes – all Euro Campers's vehicles are self-contained. 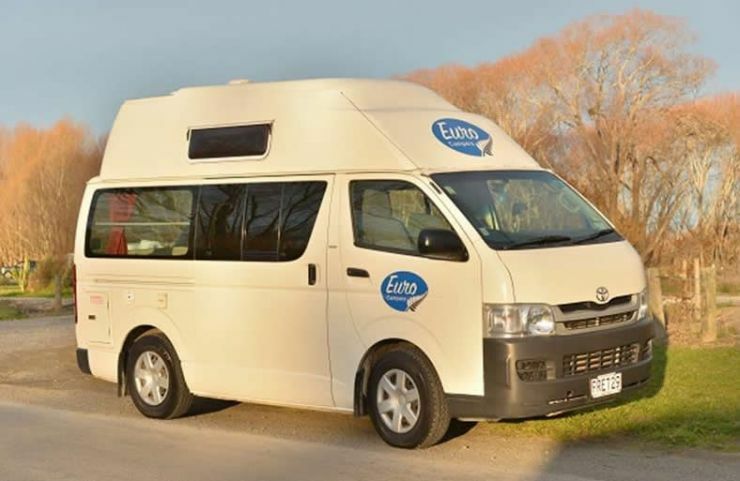 Insurance details – Euro Campers has a 'one package' policy which means the hire price includes full insurance and with an excess of only NZ$250 (NZ$2500 on some vehicles for under 21s) offers one of the best deals around with regard to this. Within this you are covered for tyres, windscreen and glass too. Driving on unsealed/gravel roads is not permitted. Each of the vehicles in the fleet of Euro Campers offers something different. The following applies to the lowest priced budget sleeper so will be the minimum you can expect to find. For the higher priced vehicles you may get lots more. None offered as the equipment levels already include most if not all of what other companies would offer as extras. Special deals – Euro Campers occasionally offers special discounts such as a seasonal 25% discount. It also operates a discount system to encourage people to book early e.g. book 7 months in advance for a 5% discount, 6 months in advance for a 4% discount and so forth. out of hours collections and returns possible for NZ$80 fee. Then why not try using a comparison site such as Compare and Choose who work with some of the top campervan rental companies in New Zealand to find you the best priced campervans available to you.